In a complex geographic territory like India, transportation management plays a key role in the continuous supply and delivery of goods. At TruckGuru, we efficiently manage the complete distribution process at the most complex locations across the country. We are a prominent transporter in Delhi, offer improved and flexible transportation and logistics services to our clients. We give top priority to information management system that is crucial in keeping our clients informed about their shipment at every stage until it reaches the final destination. 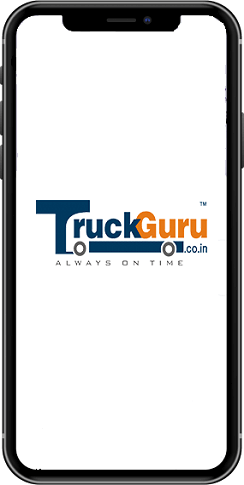 TruckGuru, the best trucking company in Delhi uses the best industry practices and advanced technologies as well as tools to offer the best-in-class and effective home relocation services regardless of the size of the shipment. Our efficient and passionate team always works closely with the customers to understand their needs and deliver the shipment as per their requirements. We understand and anticipate our customers’ logistical essentials at Najafgarh Road Industrial Area, Udyog Nagar, Old Sabzi Mandi, and Anand Prabhat Industrial area in Delhi. 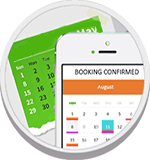 We provide planning,executionand on-site management that deliver real value to our client’s business and ensuring transfer to the destinations in a smooth, hassle-free, and cost-efficient manner. TruckGuru, the top transport company in Delhi, offers a quick, reliable and effective cargo handling solution to our customers at Indira Gandhi International Airport, Delhi. Documents, packages (small or huge) can be picked up from your door, cleared through customs and transported safely to your consignee. We provide single window solution that includes inland transport, customs clearance, ocean freight forwarding, air freight forwarding, and door-to-door deliveries. Our team always works closely with the customers, ask about their preferences and perform accordingly. We are committed to providing the safe, high-quality, quick, and prompt transportation services in Delhi.